We offer shrink sleeve labels for 360 degree, wrap around coverage for packaging of wide variety of containers. The outside holds the promise of what’s inside. Your products don’t get a second chance to make a good first impression. The first thing the customer sees is the packaging and its shape. They hold the promise of what is contained inside and what remains in your customers’ mind. There’s no doubt about it. A quality packed product leaves a lasting impression in the customers’ mind. A recent survey suggested that the confidence of a customer is highly influenced by the packaging of a product. Individual and attractive packaging solutions create impulse purchases. A well designed and properly packaged product will help boost product sales as well customer confidence. At Bothra Industries, we have a Team of experts who can guide you in the right direction and provide you the perfect solution for all your packaging needs. We are accomplished PVC films manufacturer dealing in wide variety of shrink films, PVC shrink films, PVC packaging films, shrink packing films etc. These shrink films manufactured by us are crystal clear and provide dust-free protection. Their easy application and fast shrinking reduces energy consumption in the packaging process. Our crystal clear PVC shrink films, PVC packaging films are suitable for stationary, food, video/audio tapes, gifts, etc. We provide specialized color-tinted gift shrinks for gift baskets. 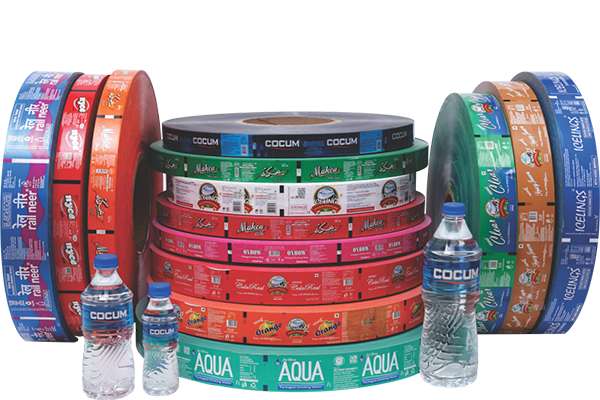 Our PVC Shrink films are used for packaging various products.